It was a smart move you made, selecting that ‘VIP Ticket’ option at checkout. And here’s why. Below is the list of inclusions your VIP ticket gets you for PINOT PALOOZA 2018. We can assure you that it is, beyond a shadow of a doubt, the most exciting, best value offering we’ve put together. Ever. A huge thanks to Dann Event Hire, Milawa Cheese, Young Henry’s and Piper’s Brook Sparkling/Joval Family Wines for making it happen. Prepare for PINOT PALOOZA by brushing up on the day’s wine list. There are over 260 on tasting (plus what’s at the JAZZ Bar and BAR VERMOUTH), so you’ll need a plan of attack. 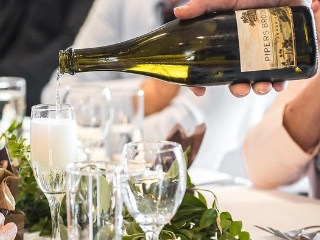 We’ve asked some of the country’s best sommeliers and wine folk for their tips and tricks on how to tackle such an epic tasting. Click the below link to find out more. The VIP times start the moment you get to the Royal Exhibition Building. Rather than queue with the GA ticketholders, you get your own, dedicated entrance to the left. 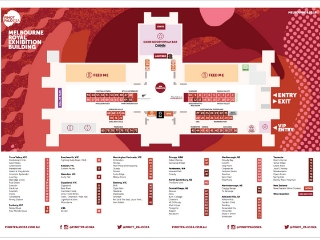 See floor plan for the exact location. 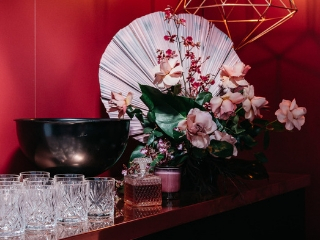 Once you’ve cruised through your dedicated VIP entrance, there’ll be a glass of Piper’s Brook Sparkling waiting for you. 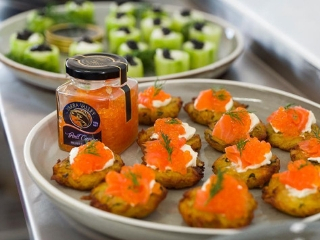 When you arrive, you’ll also be given a couple of blinis topped with Yarra Valley Caviar. They’ll pair perfectly with the sparkling, and prime your palate for a day of pinot tasting. Thanks to Dann Event Hire, you get a whole, dedicated VIP lounge which only you and the other VIP ticket holders can access. Packed full of seating, it’ll be your quiet oasis in the mad pinot desert. 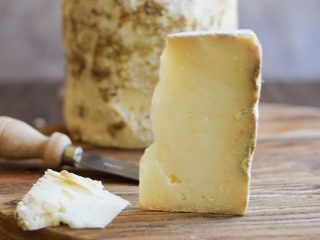 A beautiful, cheesey spread will be laid out in the VIP lounge for you, courtesy of Milawa Cheese Co. It won’t be self-service for hygiene reasons, but you can come back for more whenever you like. Three exclusive, VIP wine chats will be held in the VIP lounge during the day, led by some of Melbourne’s leading wine folk and sommeliers. 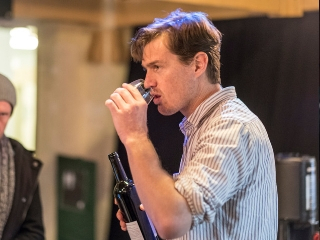 12.30pm – Dan Sims, REVEL/Pinot Palooza Founder and Director, and winner of the inaugural The Age Good Food Guide Sommelier of the Year award. 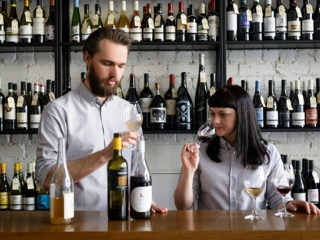 2.30pm – Liam O’Brien, Sommelier at Cutler & Co. Your VIP ticket entitles you to a meal at any of our food vendors. 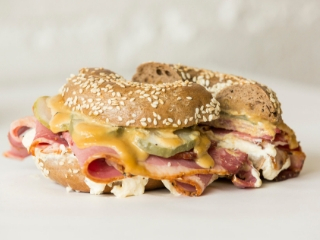 Choose from S.P.Q.R., Meatsmith, Burn City, Beatbox Kitchen, Taco Truck, Mile End Bagels, Maker & Monger, Cannoleria, That’s Amore Cheese or Mt Zero Olives. Just present your lanyard to claim. 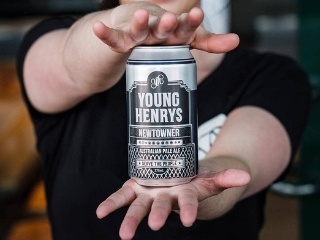 Your VIP ticket also entitles you to one free beer or cider courtesy of the legends at YOUNG HENRY’S. Just present your lanyard at the Young Henry’s stand to claim. Trust us, there’s nothing more cleansing during a wine tasting than a half time beer or cider! We made a magazine packed full of fun, engaging pinot-related content, and we’ll give you a copy to take home with you. 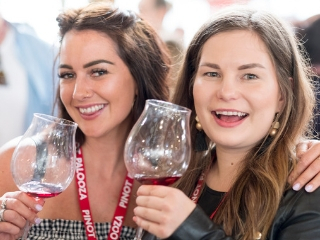 It was conceived as a way for us to continue the conversation about pinot noir outside of our events; to help us help you integrate pinot noir into your lives more seamlessly. 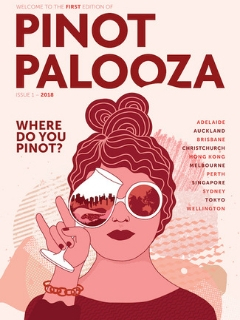 It’s full of articles on pinot noir, on how it links to music, interviews with chefs, road trip itineraries around wine regions, places to eat and drink in our favourite overseas cities, and loads more.